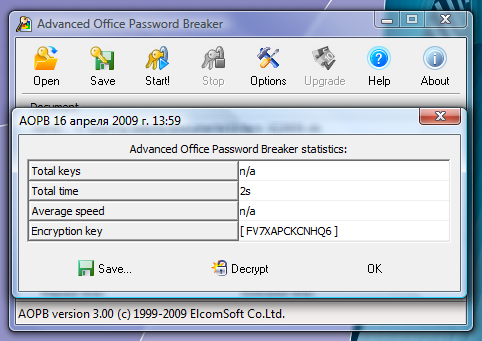 Frequently Asked Question: Advanced Office Password RECOVERY or Advanced Office Password BREAKER? And now…. 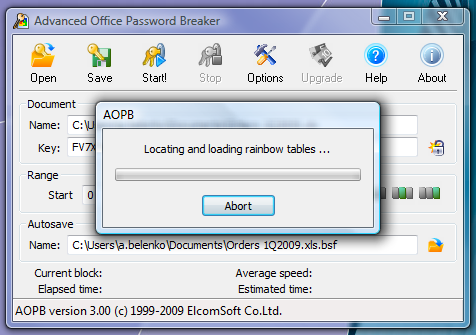 we have Rainbow Tables for Microsoft Excel docs with 40-bit encryption. 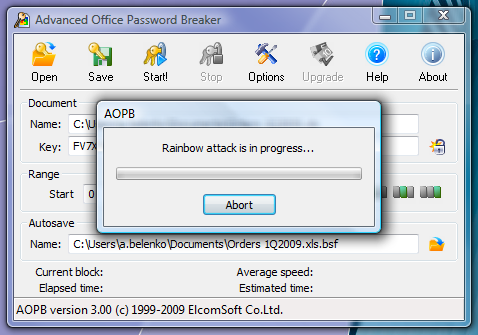 So, it became possible to reach near-instant recovery of 97% of spreadsheets created in MS Excel 97-2003. Unfortunately, due to specificity of Excel spreadsheets format it’s unreal to get 100%-recovery, still, you can use brute force to cover the rest 3%.